Cities have long used traffic fines and court fees as a revenue boost for municipal coffers. Unfortunately, this practice disproportionately impacts the poorest of residents, who often can’t afford the initial fine, leading to penalties and interests that make it impossible to catch up. For those that are severely delinquent, courts can also suspend drivers licenses or end up in jail. This can lead to a rapid descent including job loss and poverty, not to mention risk of arrest if they are caught driving without a license. This has received national attention in the past year as the frustrations of black and minority residents have been amplified through the #BlackLivesMatter protests that erupted after the killing of black men by police officers. It was discovered that nearly 10 percent of Ferguson, Missouri’s revenue came from citations and related court fees – with most of the burden falling on African-American and poor residents. When New York City police officers unofficially protested against what they saw as lack of support from the mayor, fewer tickets and other citations were issued. This resulted in New York City losing an average of $10 million a week in revenue. With national attention on the Department of Justice Report on Ferguson, a California group called the Lawyers’ Committee on Civil Rights issued their own report on similar practices in the state. In Not Just a Ferguson Problem: How Traffic Courts Drive Inequality in California, the authors note that while the context is different, the results are the same. Courts routinely do not allow people to even contest their citations or work out different arrangements until after they pay past due amounts. 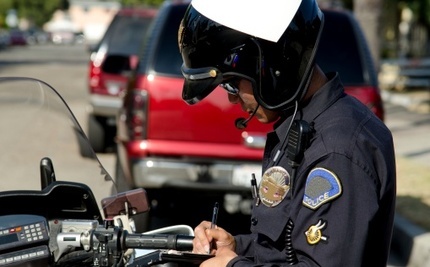 As a result, more than 4 million Californians have had their drivers licenses suspended. The report estimates that these individuals owe $10 billion in uncollected court-ordered debt. A large portion of this debt will never be collected. This means that millions of California drivers will never be able to have their licenses reinstated. Driving in California is often described as a privilege, but for millions of Californians it is an economic necessity. Each day millions of Californians take to the road to go to work, drop off their children at school and activities, go shopping, and visit family. Without the ability to drive, millions of families cannot afford to pay the cost of housing, pay utilities, put food on the table, afford clothing for their children, or be able to save for retirement. In short, driving is a fundamental need of virtually every person in the state. The bill calls for an end to the practice of drivers license suspension for failure to pay fees and penalties for minor or other misdemeanor traffic violations. Violators will also not incur criminal penalties or imprisonment for failure to pay. It also allows for a two year amnesty period for all violations that were due on or before January 1, 2013. There will be a reduction in the amount due on an income-based sliding scale. For those who are at or below 150 percent of the poverty level, they will have to pay 20 percent of the total due. The amount increases at different tiers, with a maximum of 80 percent for those whose income exceeds 200 percent of the poverty level. The amnesty period would start on January 1, 2016 and end January 1, 2018. This isn’t the first time such a program has been attempted. In 2012, a six month program helped resolve more than 42,000 cases and collected $15 million. The bill passed its first committee hurdle this week with a unanimous vote. Opponents of the bill are largely those who benefit from the fines, namely law enforcement training programs. Some say that it penalizes those that pay their fines on time, but these critics forget that often the people that haven’t paid are those who are unable to do so.